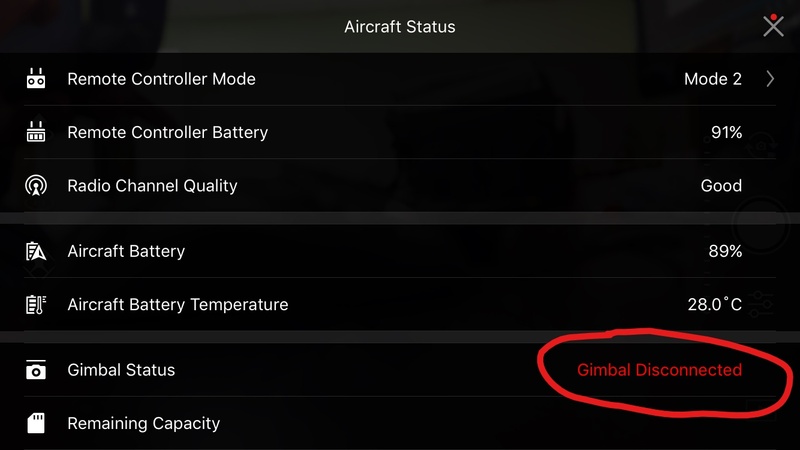 I have had fewer than 20 flights on my Mavic and now when I connect to it with the DJI Go App, the Gimbal Status says "Gimbal Disconnected". I have a (blurry) image and the gimbal appears to be powered, but it isn&apos;t responding to any commands. I can&apos;t focus it, and i can&apos;t adjust the tilt or change the mode. I tried removing and reinstalling DJI Go, rebooting the phone, I even tried a different device..with the same results. The last time I flew, it was completely uneventful. I flew out, flew back, landed on flat concrete,powered it off, then put the gimbal clamp and cover on it and put it away. I just spoke with support in chat, and they told me to go do an IMU calibration and then a gimbal calibration. 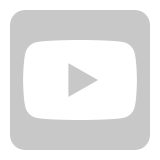 oddly, the video they pointed me to was for the Phantom 3. Im guessing its the same process. I&apos;ll report back the results. Yes, report back after both calibrations, you may also want to try resetting factory settings with the Assistant 2. The IMU calibration completed, but it wasn&apos;t able to start the gimbal calibration. 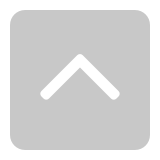 When I click ok to start, it doesnt do anything other than dismiss the window. Did the factory reset in Assistant 2 but it didn&apos;t help. Can you connect it to the Assistant2 and do a factory restore and then see what happens. I do find it strange that one day it worked and the next day it didn&apos;t.If a factory reset or reinstaling the firmware doesn&apos;t clear it up then please contact support and send the aircraft in for repair. I just reset it in Assistant 2. Didn&apos;t help at all. I am totally baffled too. I should note that at one point, maybe my 5th flight or so, the gimbal became non-responsive. I landed the Mavic, reset it and it continued to work after that. I honestly just figured it was a temporary glitch, but it makes me wonder if perhaps the gimbal cable wasn&apos;t securely attached at the factory. Ok, so this is the strangest thing. As I was packing up my Mavic to get ready to ship back, I replaced the 32GB microsd card that I had in there with the card that came with the Mavic and it occurred to me to just double check it, you never know. It started working again. I checked the 32gb card in my pc using a flash memory toolkit to scan for errors, and it seemed to be fine. To see if that was really the cause, I put the 32gb card back in the Mavic, and the gimbal became non-responsive again. I put the 16gb card back in, it started working again. Should I still send it back? Should I just not use that card? I&apos;m not sure what to do at this point. Edit: I just popped the suspect card into my P3 Pro and it works just fine in there. Something unique to the Mavic, or perhaps just to my Mavic. Maybe try formatting the 32 GB card while it&apos;s in the Mavic and see if that makes the gimbal responsive again? When I do that, it gives a "Format timed out" error message. What exactly SD card is that. It has to be a Class 10 or UHS-1 ratiing. Try some other cards that meet the specs and if they don&apos;t work then send it in. I would say the card is corrupted and you should buy another one. I had a micro SD card in a Net Camera once that got corrupted and would also not format. Had to replace the card. Sounds like a corrupted SD card will affect things on the Mavic. Weird. Just trying a bunch of different cards, and they seem to be working. That is strange, well at least you know it&apos;s the SD card. Maybe it&apos;s damaged somehow, does it work in your other devices? Very strange. I am very happy that I don&apos;t have to send my mavic back though. It works in my PC and it also works in my P3 Pro...just tested it. I&apos;ll just put a sharpie mark on it so I know not to put it in the Mavic. put it in your PC and do a real format, not quick format. Then try again. Sounds good, and yes follow the above post and format in the computer and see what happens. Did a full format in my PC. No luck. Tried 5 other cards that all seem to work fine though. I had a card that worked fine in my previous phone a while back. One day id stopped working in the phone, but worked fine in a camera and my pc. Another thing to add for a troubleshooting guide. Man am I glad I found this thread! I had the same thing happen to me today. At first I thought it was caused by the ND filter I had just installed. I was trying new filters out and assumed they were causing a gimbal error. So when I took it off and restarted the Mavic I was dismayed to see the error was still there. After swapping out the SD card for the one that came with the Mavic, all was well again. The card is a SanDisk Extreme 64GB microSDXC UHS-I. It is new but I had used it all weekend with no issues. So then I remembered that I had copied a bunch of files to the card the night before using a Mac, and then deleted all of them on a Linux machine before I re-installed the card in the Mavic. So apparently I did something to corrupt the card? I went ahead and reformatted it to exFAT (not quick format) and now the Mavic likes the card again. Who would have ever thought an SD card would cause the gimbal to malfunction? Try a new cord, I had the same issue.. looks like an error with the cable that connects the phone to the controller. I changed the SD Card and problem continues. Gimbal disconnects randomly. I tried without any SD card and having the same problem. I just had the same problem,it flew perfect, landed,took memory card out and empty files in computer,put card back in,restart and no gimbal connection?? I did have a blurry vision on tablet but had no control over gimbal. A couple of tell tale signs were, I couldn&apos;t reset camera settings? I couldn&apos;t find video record button and it said I didn&apos;t have a memory card in? Consulted doctor google AKA dji forum and found memory card issue, found another card and now, Life is good again.The card was a 32gb Sandisk Extreme U3 and another thing is when I went to format properly in computer,it would freeze my computer when I went to right click to format. Gimbal disconnected error. I did everything, but did get success. Very strange it was not any crashes. Suddenly I&apos;v got this error and I don&apos;t know what to do. Any suggestion ? The all works fine again. It is absurd that the card status influences the operating system on the Mavic Pro in such a manner that this can happen. I have had this error since unboxing my new Mavic a few days ago, both with the original and a replacement card. Is my Mavic DOA? I can usually get video back by rebooting the controller, and restarting the app, but I can&apos;t/don&apos;t want to do that in flight. I think I will have to return my Mavic. Finally got to fly it today. 3 flights all under 3 minutes, all the got a disconnection within a minute of starting. Only got 60 seconds of video recorded. After waiting so long to get a drone, 2 years in my case (1 year alone waiting for the Mavic) and then waiting after delivery for the insurance, this is more than frustrating. dont send it back its likely another issue somewhere., my samsung galaxy S8 will put a fight up against the RC OTG..constant and random disconnections and even disrupts normal mavic behavior! i found the cure.. kill the app running and use the usb port on bottom of the RC (full size one) plug phone into that and let the RC auto launch the dji go app on phone automatically.. it may ask for setting it to default, click yes and agree.. this should in theory cure the issue...if still having an issue, kill the app again, turn of mavic pro, and RC restart phone.. dont start the app on phone or tablet yet.. start mavic first then RC then let the app auto launch or attempt to.. that should fix it.. I had a very similar episode with my Mavic. The gimbal suddenly would not transmitt signal to my controller. I got the "NO IMAGE TRANSMISSION error. and GIMBAL DISCONNECTED error. I was ready to start the painful process of tech support etc. Thankfully I found this thread. I tried inserting different SD card and to my amazement the gimbal now is connected and camera works now. I reformatted the SD card in my computer and retried it. This did the trick. I had renamed some of the DJI files on that card (as was mentioned in an earlier post). I am suspicious that this was the culprit! I will go test the camera now on on flight and hope for the best. 1. Turn off both remote control and the drone. 2. Remove your mobile connected to remote control and remove the cable connected to eu rc to mobile. 3.now attache the cable seperately to your mobile(don&apos;t attache your mobile to remote just connect the cable from rc to mobile). Great info as my gimball locked also after installing ND filters. Changed back to the correct SD card and all is well. nice..i did this and I am now ready for test flight. thanks, not sure how or why this worked...it just did lol..saved my day. My gimbal went dead after a drop off the table. Had to open it and reconnect the gimbal cord to fix it. I tried all but only thing that would work twice was delete the go4 software and download it again and reinstall. So just what is really going on? Talked to service. No joy. Said must be a cable and to send to Grapvine Texas. I really do not want a refurbished MP. Want mine back. Never crashed and original blades still. Going to cost me? Its approx 9 months since I returned my Mavic and gave up. I would still like a drone, so I have to ask. Is the disconnect issue still a common problem with the Mavic / Mavic air ?